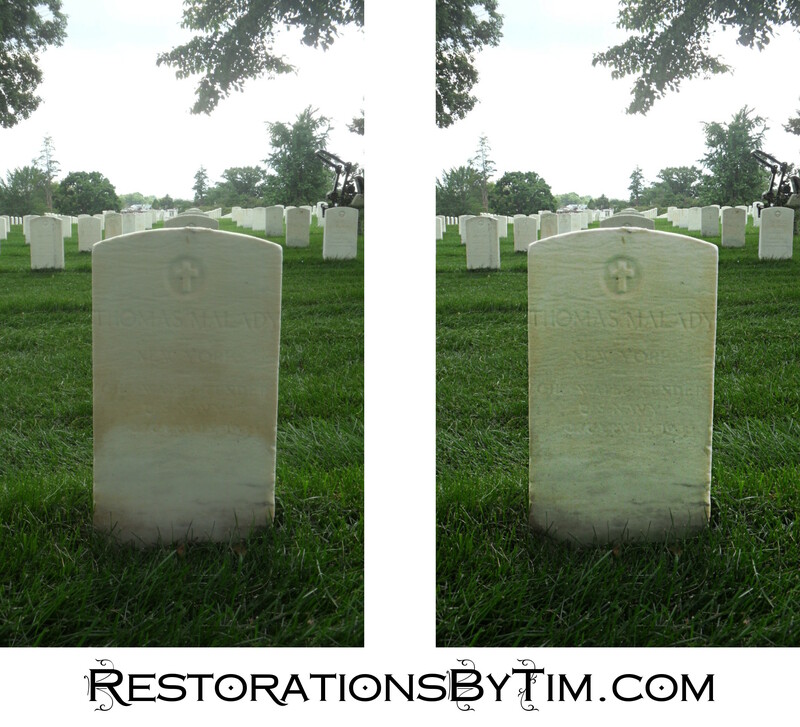 Moderate Alteration: Bringing Out Faded Lettering | Photo Restorations by Tim G.
I’d file this Find-A-Grave experiment under Moderate Alterations. The first priority here was to make the writing on this weathered gravestone legible. The second priority was to make it so that a person unfamiliar with the original photo would not realize that it had been modified. The last priority was staying true to the original image. As you can see, I’ve tampered with the stone’s color. I think the experiment was moderately successful. Do you? Your mileage may vary. See Mr. Malady’s Find-A-Grave memorial. Value: $20.